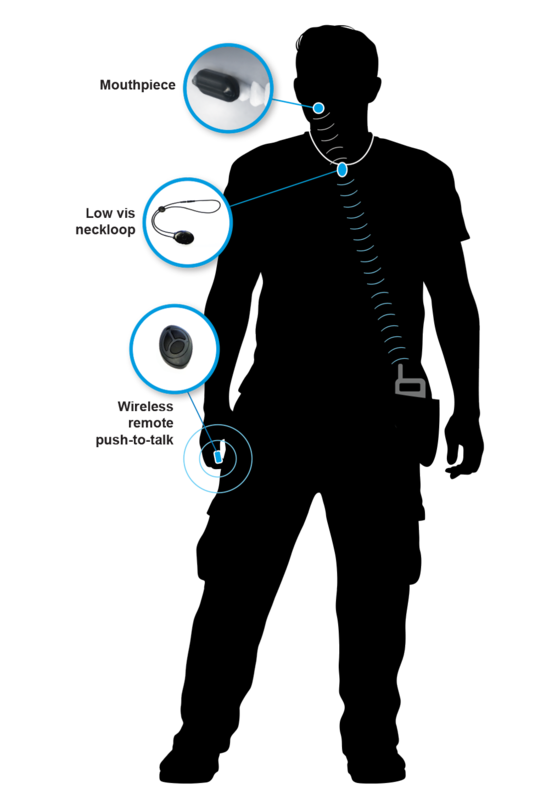 Sonitus’ patent protected system is built around a technology that creates a new audio path “supersense” for wireless communication, eliminating the need for ear pieces, microphones and wires on the head. A secure, comfortable mouthpiece that clips on your tooth becomes the single point of contact for incoming and outgoing wireless audio communication and augmented awareness. The mouthpiece uses the body itself to exclude outside influences. The Mouthpiece is a device custom-fit for each user. A Near-Field Magnetic Induction (NFMI) link is established between the Mouthpiece and the Tactical Neckloop to facilitate wire free connection with the rest of the system. The Mouthpiece contains a bone conduction speaker, an embedded waterproof microphone, and a wirelessly rechargeable battery. The Mouthpiece clips on using a “snap fit” that tightly, but comfortably, attaches to the upper back molars. 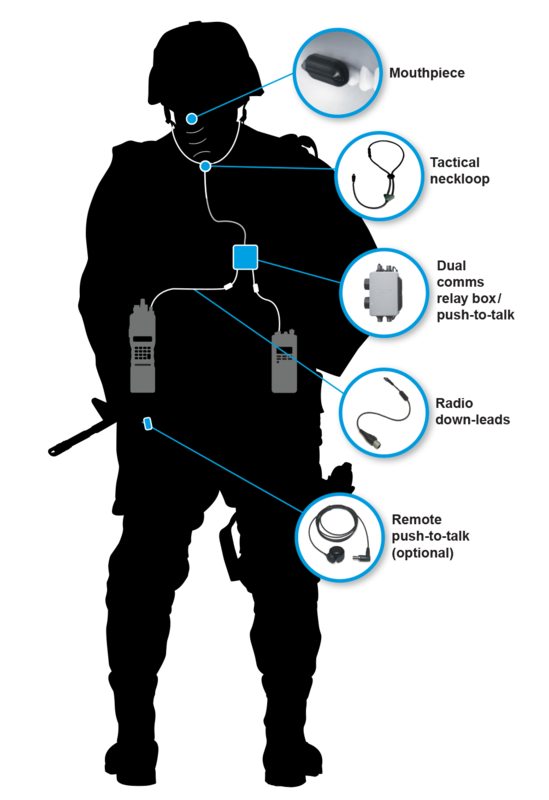 The Mouthpiece comes equipped with an embedded, waterproof microphone that allows the operator to transmit outgoing communications by speaking normally. 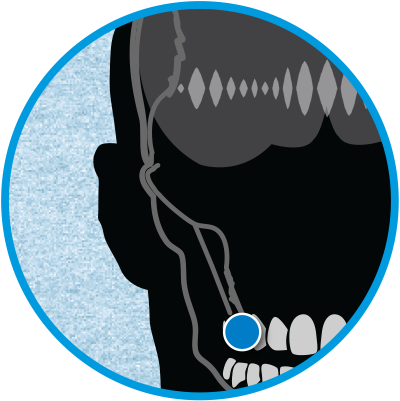 When transmitting communications, whisper levels up to loud speaking are well-captured. Loud speaking is not required even in noisy environments, as the in-mouth microphone is extremely well-shielded by the mouth from all external noise sources, so only the user’s voice is transmitted over the radio.